With all the professional broadcasting equipment available on the market today, creating a podcast has actually never been easier. 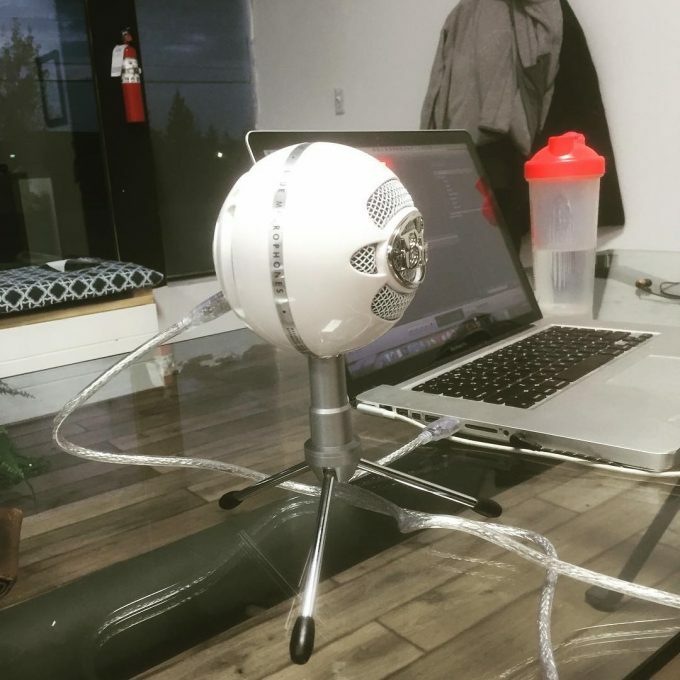 The equipment involved in setting up a podcast is so affordable that anyone with a keen interest in podcasting can host his or her personal show. However, without listeners, the show will be of little use to anyone. Sure enough, your spouse, mom, or even your cat may tune in but that won’t be the size of audience you aspired to get in the first place. So how do you improve your podcast and grow to hundreds or thousands of listeners? Here are a few tips to take your podcast to another level. This is where most aspiring podcasters stagnate in their podcasting efforts. They barely stop to ask themselves if they are actually talking about things or subjects that people want to hear. The podcast is not for you but for your audience, so focus on a niche that is popular and exciting enough to make your listeners want to share the content with their friends. Concentrate on topics that generate the biggest responses in form of shares, downloads, feedback and even controversy. Just like in day to day offline life, people will shut you off at the slightest hint of boredom. Be animated and excited about your presentation and the enthusiasm will automatically radiate to your audience. Speak clearly in your presentation with a tone of authority. After all, you are talking about a subject you honestly love. More importantly, give your content the first priority and “fluff” last priority or none at all. Improving your overall quality of production will separate you from the wannabe podcasters. Invest in a high-quality microphone or headset and remember High Definition is a must. Don’t let tech consideration stand in the way of your success. Once you’ve taken care of the content, presentation, and production considerations, and have an awesome show ready, it’s time to pull in crowds of raving fans. Well, not so fast, partner. We still need to do a few more things to get you on the road. iTunes is the Mecca of today. Since 2005 when iTunes began supporting podcasts, many podcasters have been reporting tripled downloads of their content. It is quite easy to use iTunes. They even have a step by step guide to help you submit your podcast. However, you’ll need to be patient as it takes up to 2 weeks after submission for your podcast to be approved. We are living in an age of information overload where people make quick decisions at all times so get the most attractive and engaging cover art that can hook their attention at first sight. You can get a professional cover done for you for as little as $5 in places such as Fiverr. You’ll need to create an XML feed before you upload the podcast to iTunes. You can use good software such as Podcast Generator to create the XML feed. This is a metadata with information about you, the author of the podcast, and the title. The metadata influences how iTunes will index your podcast and make it show up in search engine results. It’s great to have organic traffic too. In the podcast world, iTunes is the king. It has more than a billion subscribers. However, you need to submit your podcast to other directories to reach an even bigger audience. Take time to submit it to directories such as iPodderX, Podnova, PodBean, Podcast Alley, Podcast.com, and Podcast Pickle among others. You can set up a WordPress site dedicated to your podcast where you interact with your listeners and readers. The website also provides a great opportunity for more people to discover your podcast. With a website, you can reach a majority of people who don’t use iTunes but can find the podcast website via search engines or social media shares. There are many places that you can host your podcast free of charge but if you are serious about taking your podcast to the next level, invest in a dedicated podcast host. You’ll get sufficient bandwidth that will come in handy when your podcasts go viral.